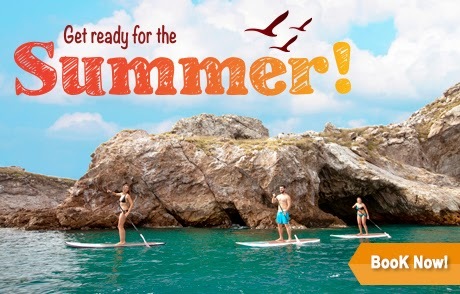 The Pre-Summer Season Offers are ready to go starting Tuesday, May 19th and will continue through the end of June of this year in a clear effort to boost visitor numbers during what’s considered to be the low season. These Seasonal Offers are a continuation of the promotions that have been and will continue to be offered by the Riviera Nayarit Convention and Visitors Bureau’s Marketing Department in combination with the Destination’s hotels. Standout discounts include offers of up to 55% off at all-inclusive or European plan hotels, “kids stay free” offers for family vacations, spa discounts and much more, not to mention the availability of credit terms. To date there are over 20 participating hotels located along the coast of Nayarit: Bel Air, Dreams Villamagna, Grand Velas Riviera Nayarit, Hard Rock Hotel, Las Palomas, Iberostar, La Tranquila, Grupo Marival, Matlali, Occidental Grand, Ocean Breeze, Paradise Village, Hoteles Riu, Samba Vallartam Villa Group, Villa Varadero and Vista Vallarta. The efforts of the Riviera Nayarit CVB and the hotel sector are aimed at motivating tourism in a constant and coherent manner, offering possibilities that will fit any budget.